Lick 5 - . :Shred Tricks - Shred Guitar Lessons by Eric Maldonado:. 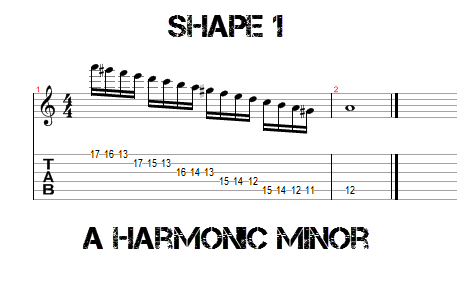 Today for Metal Week, we have an awesome shred shape for you. If you are a fan of players like Rusty Cooley, Yngwie Malmsteen, Gus G. and all of the neoclassical masters, this lick is a must know!! If you are interested in learning more licks in this style, pick up my instructional book Neoclassical Shred 101, where you will learn all the licks you need to know to be a neoclassical master! Above is the shape for A harmonic Minor. 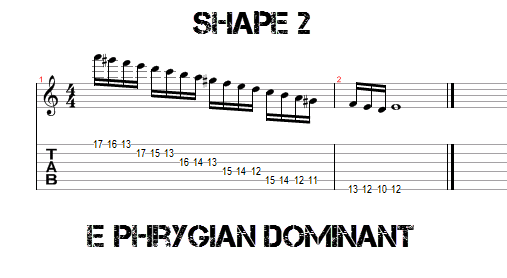 You can approach this shape with Alternate picking, legato, and even hybrid picking. Be sure to also learn it all over the neck so when needed, you can transpose is to any key. Here is the shape for E Phrygian Dominant, essentially the same as A harmonic minor but with a more middle eastern flair to it.